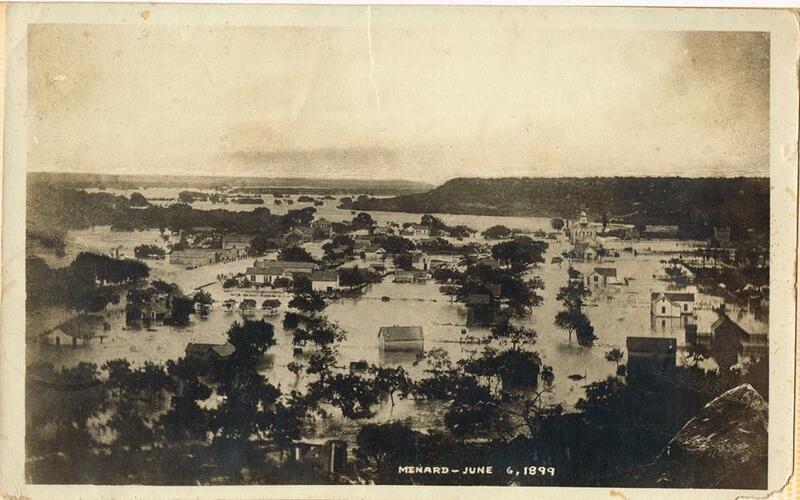 His photo is looking due east and the San Saba River is on the far left side behind the buildings which are downtown. You can see the old two story courthouse with copula on the top right. This flood was very devastating to the homes and businesses. This photo is from the Don Wilkinson Collection.